When it comes to exotic pets, many people are simply unaware of what they’re getting into when they bring home that cool-looking snake with the striking markings or that adorable baby turtle the size of a loonie. The novelty soon wears off, and the reality of the responsibility sets in. Perhaps the cool-looking snake is more work to care for than they expected, or isn’t as interactive as they wanted. Or maybe they’ve found out the adorable turtle is going to live way longer and grow much larger than they were led to believe. Whatever the reason, many exotic pet guardians find themselves with an animal they no longer want. Red-eared slider turtles were popular pets in the late 1980s and early 1990s, thanks in part to the Teenage Mutant Ninja Turtles cartoon. Most were sold in pet stores as babies no bigger than a loonie. When people realized the turtles could live up to 40 years and grow larger than a dinner plate, many were abandoned in local ponds – where they began outcompeting native turtle species. But unwanted exotic pets can’t just be dropped off at an animal shelter. Many shelters don’t have the facilities or expertise to look after them properly. Few rescue groups take in exotic animals, and those that do are often already at capacity. The same goes for sanctuaries and refuges. With so few options available, some guardians go the “out of sight, out of mind” route: releasing their pet into the wild. Sadly, this can have devastating results — for the animal and for the environment. Exotic animals are so-called for a reason: they’re not native to British Columbia and, as such, not adapted to live here — even if they were born and raised in captivity here. When released, exotic pets face numerous challenges — chief among them finding suitable food and shelter, and avoiding predators. Many are simply unable to meet these challenges and succumb to starvation, exposure or predation soon after release. In 2015, someone released three young ball pythons on Burnaby Mountain over the summer. Fortunately, they were rescued before the weather got too cold. Native to sub-Saharan Africa, the snakes might not have survived the winter – or would have become prey to a coyote before then. Not all exotic pets meet such a tragic end when they’re released. Some manage to survive — and even thrive. The problem then becomes the damage they can cause to the environment. Exotic animals can displace native wildlife — including species at risk — by outcompeting and depleting the resources they rely on. They can introduce diseases and parasites, and even alter the very structure and composition of the habitat they now occupy. And they aren’t necessarily restricted to this habitat. Some go on to populate new areas. Throughout British Columbia, there are lakes filled with former pet goldfish. Able to survive and reproduce, they are wreaking havoc on local waterways, where they outcompete and prey on native fish species. They also disturb the sediment as they feed, which increases the cloudiness of the water and affects the growth of aquatic plants. Apart from the fact that abandonment of an exotic pet is illegal, doing so is harmful to the animal and to the environment. For these reasons and more, the BC SPCA believes that exotic animals shouldn’t be kept as pets. 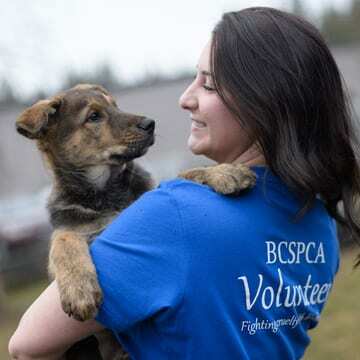 For more information, visit spca.bc.ca/exotics. Think carefully before you get any pet, but especially an exotic animal. The trade — both legal and illegal — in exotic pets has many hidden animal welfare problems. If you have an exotic animal already, strive to provide your pet with the Five Freedoms. House them in the largest possible habitat, find an experienced exotics veterinarian and seek out expert advice on enrichment. While the provincial government has banned large exotics such as tigers, alligators and venomous snakes, ownership of many of the smaller exotic pets is still permitted. Ask your local government for updated municipal bylaws to protect these animals.